Taylor Gang rapper Juicy J's A$AP Rocky-assisted single "Scholarship" has been treated to a proper music video. The song, in which Juicy offers to pay your way through college if only you'd twerk for him, is treated to a dark, grainy clip that showcases a top secret garage party. 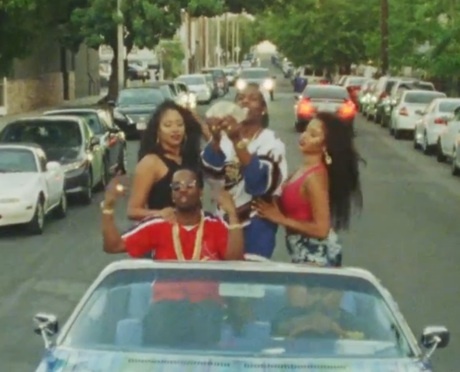 Then, A$AP and Juicy get wild in a convertible. Watch the video for "Scholarship" below.